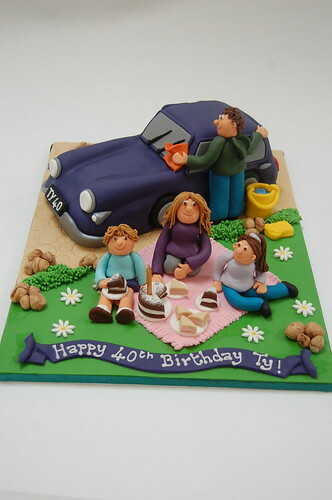 A cake just as iconic as the car it depicts. Complete with full picnicking family! The Class 1960 Citroen DS cake – from £100.